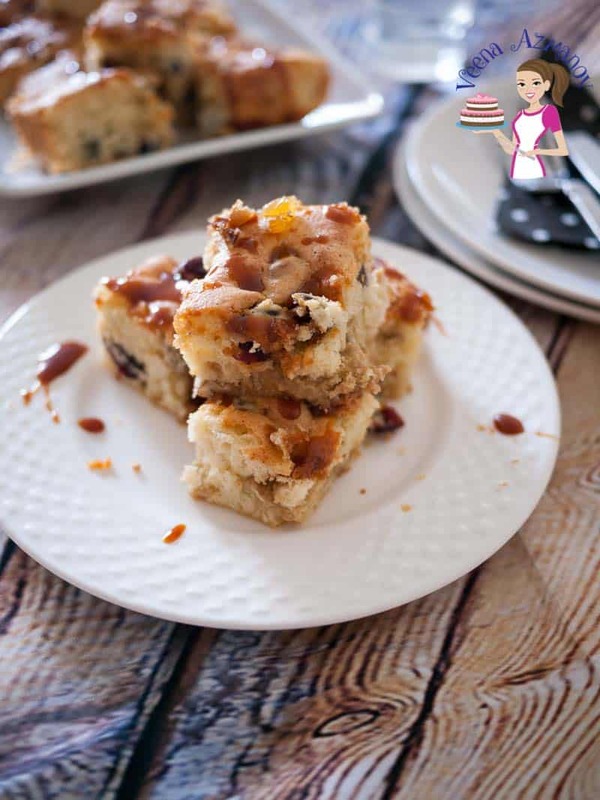 A fruitcake infused with the flavor of sesame seeds is what this coffee cake is all about. 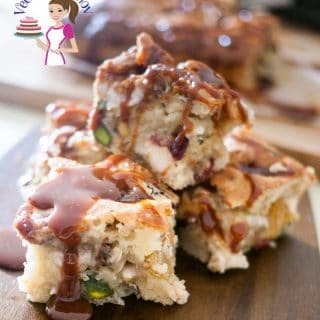 This halva fruitcake bars recipe is a perfect tea time cake that absolutely melts in your mouth. A simple, easy and effortless recipe with delicious fruits and nuts, enhanced with the sweetness of the halva. The caramel topping just takes it to a whole new experience. I have been making fruitcakes during the holidays for years and every year I like making mini fruitcake loaves as gifts. While giving fruitcakes as gifts for the holiday is a very common thing back home here, it’s a novelty. I like that but I wanted to take my fruit cake and make it a little more personal to the Middle East. Last year, as usual, I made little mini fruitcakes but with a twist. I added a middle eastern flavor of halva. Everybody was raving about how delicious they were. Of course, waiting another year to get this cake for the holiday was unthinkable so I decided to make a different version. 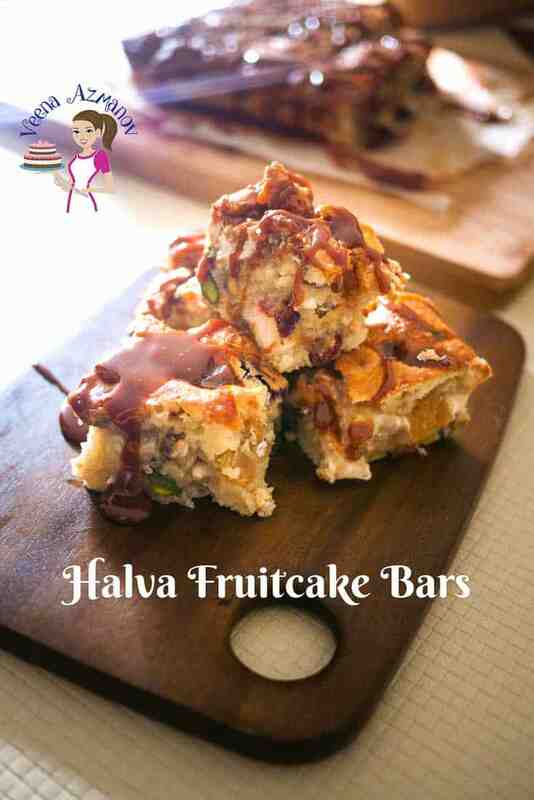 I made this halva fruitcake bars instead. It’s a coffee cake with a twist. You can have it with coffee or as a dessert. It’s an absolute treat and one that will keep you coming back for more. Have you tasted Halva? Do you know what is Halva? 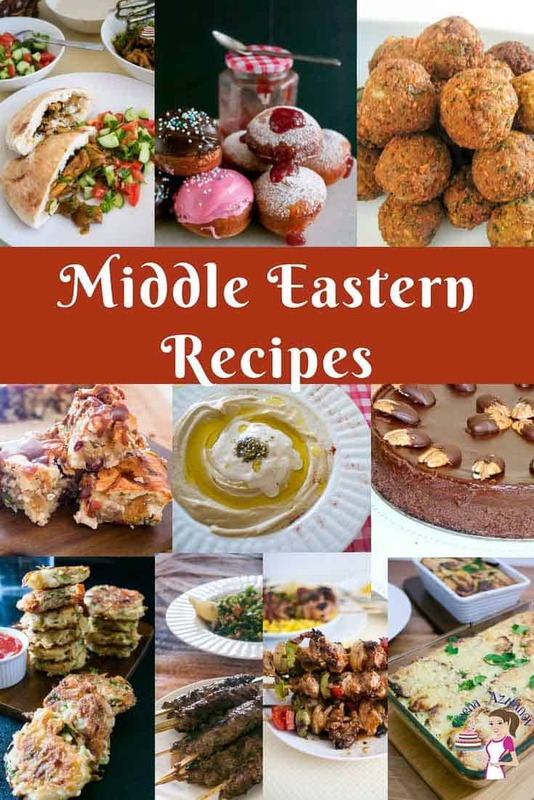 Well, it’s a very middle eastern kinda thing. I’m was told you either love it or hate it, and I think that’s true! The first time I was introduced to it was when I was dating my husband about almost 20 years ago. He ordered an Halva Ice Cream – It was just vanilla ice cream with lots of this Halva shaved over it. But it tasted so, so delicious! I was like what? Why have I not known this before? 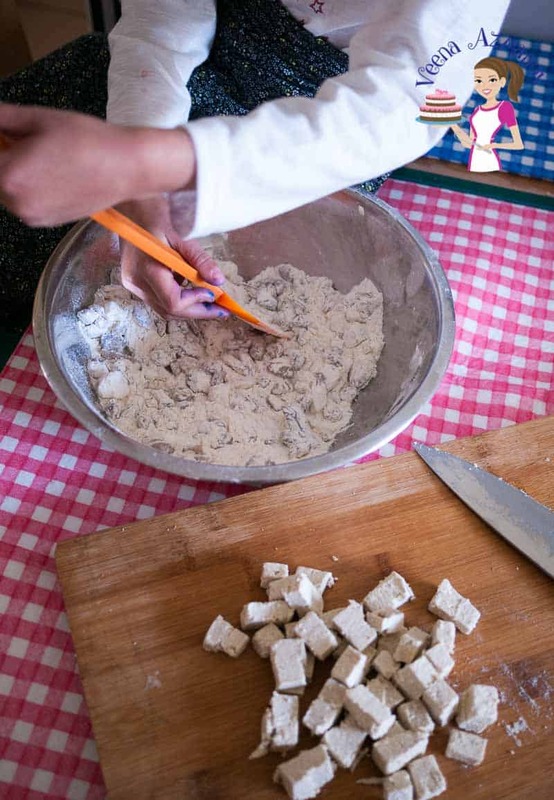 Halva is made from Sesame Seeds – similar to Tahina which is also made from Sesame seed. Some say Halva is the sweet version of the tahina but I’d say nah! I love both BUT hey, Halva is Halva to me. So this is what Halva looks like – You get many brands from all over the world. You get a plain variety or some with nuts and flavors. My favorite is Pistachio. I love a good halva coffee cake. But my favorite is when I added halva to this fruitcake. Everyone loved it so much they always ask for the recipe. 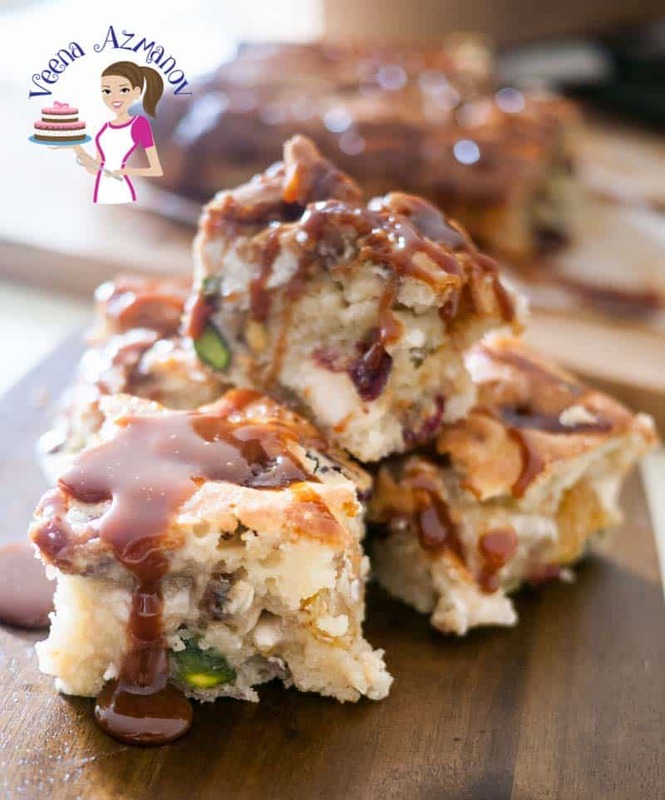 So, today I wanna share with you this fruit cake which I know you are going to love. 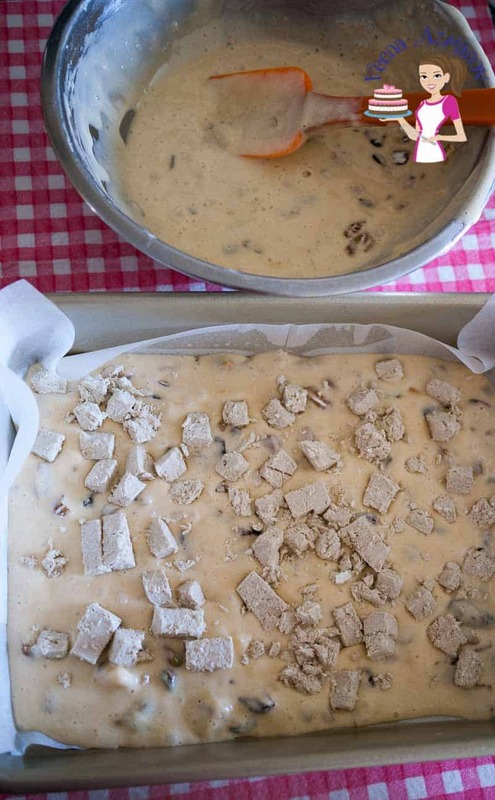 Halva – As I explained above you get halva in various flavors and you can use any flavor you like. You can also add a little more or less of the halva if you prefer. 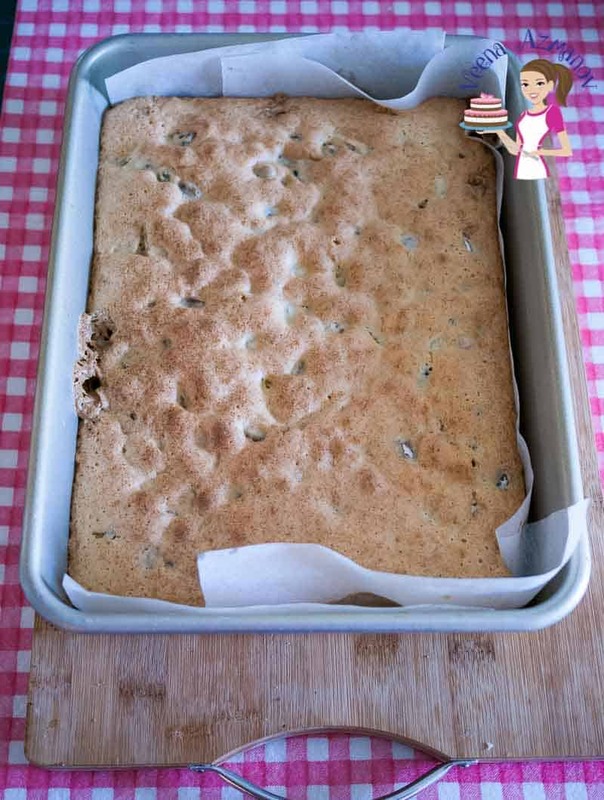 Nuts – Again, I have used a mix of pistachios, macadamia, and pecans today but you can use just one or as many as long as you keep the quantity mentioned in the recipe. Fruits – Today, I used cranberries, dates, and raisins but you can use one or more as long as you keep to the quantity in the recipe. All-purpose flour – simple, plain flour works just fine for this recipe. No need for any cake flour or self-raising flour. 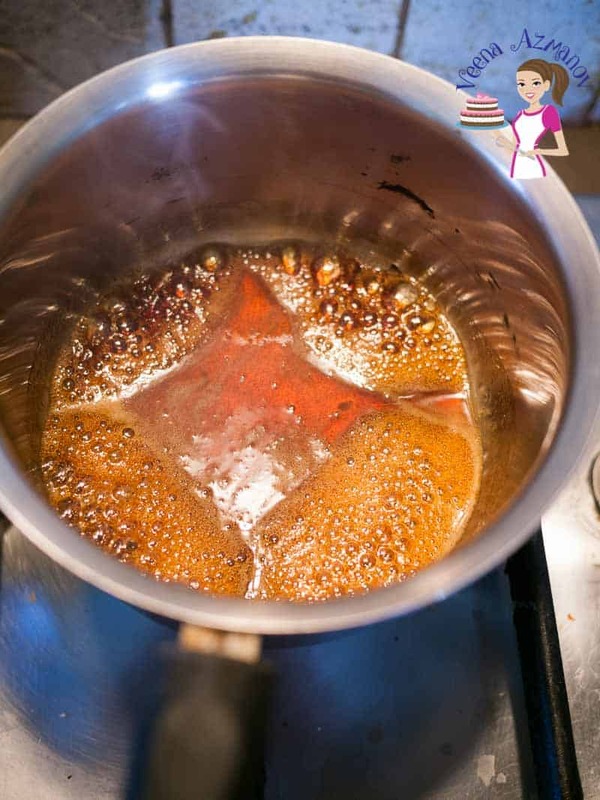 Sugar – I use white sugar so I can keep the light color in the cake but brown sugar works just as well too. Vanilla – A good quality vanilla is always a great way to add flavor to all baked goods. 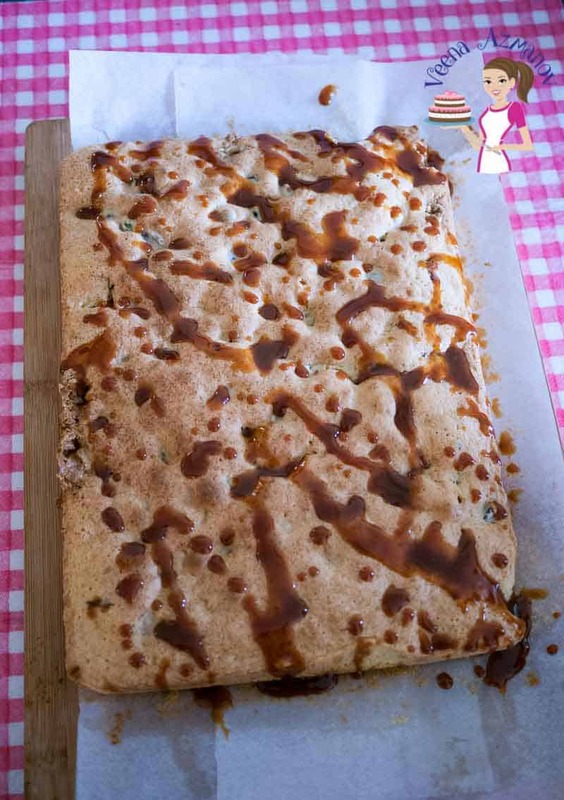 Oil – yes, I like using oil for this recipe as it keeps the cake moist and light but if you prefer you can substitute 170 grams butter (1 1/2 stick) for this recipe. Caramel – The cake is delicious on its own with the sugar and fruits added, so it does not need any extra sweetness. The caramel is an extra luxury I love to add to this cake. You can omit it if you so think it’s too much. You can use a whisk but you will have a little more work to that’s all. Chop the nuts and fruits into smaller pieces as shown below so they are not too large when you bite it. Sift together -the flour, Baking Powder, Salt. Add the chopped fruit and nuts to the flour mixer and stir to combine. Set Aside. 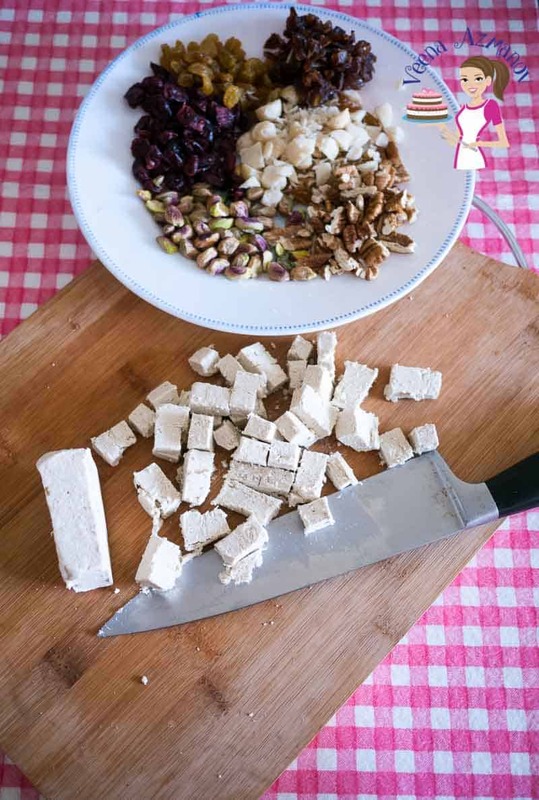 Chop the halva into small squares or crumble it with your hands. Set aside. After 2 minutes add the sugar gradually. Continue to whip until light and fluffy or ribbon stage. Then pour the remaining batter over. Once baked set aside to cool for 10 minutes. Cut into bars or squares similar to brownies. The presence of fruit and nuts will not give you precise squares but that won’t matter when you taste it. There is something about Caramel – Isn’t it? The presence of fruit and nuts will not give you precise squares but that won't matter when you taste it. My grandma makes so delicious halva. I love her recipe but actually never had courage to make halva myself. I’ll give your recipe a try and surprise my grandma next time I visit her. Looks super delicious. Oh wow.Lucky you. I have never made halva myself. I always buy it readymade. I think she will love this. I love coffee cake and fruit cake so this is the best of both worlds for me! I will have to make it and see what the flavors are like, sounds delish! Thank you, Melissa. I think you will enjoy this if you love fruitcake. 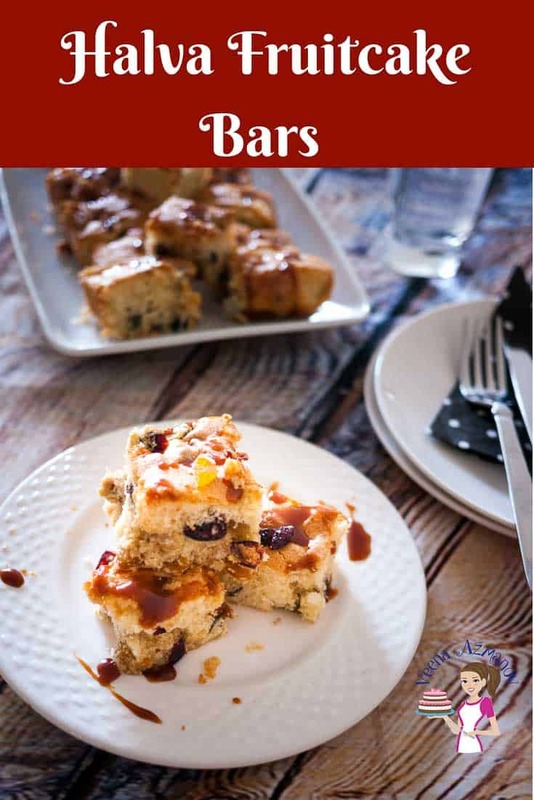 You have given middle eastern touch to this fruit cake bars. 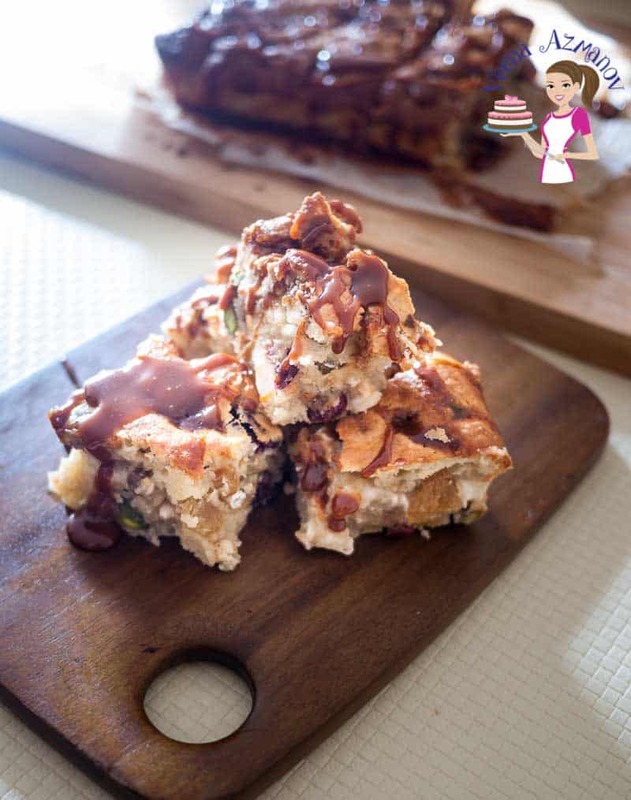 I haven’t tried halva, may be next time, You made this cake perfect with lot of nuts and dry fruits. If you like tahini you will love halva Swathi. Halva is the sweeter version of tahini. I really enjoy learning about new ingredients. I’m familiar with tahini but I’d never heard of halva. Where could I find some? I’d love to try your bars — I do like the taste of tahini and I’m nuts about sesame flavor. I bet your gifts were well-received. They’ll probably be expecting more this year. I’m always learning something new when I read your posts. Thanks, Marisa. Yes, they love this so I’ll probably make more of these around Christmas. I was planning cookies this year but let’s see how it goes. Thank you, Jyothi. If you like fruit cake you will love this one. let me know if you try. What a great gift – these would be very pretty packaged in a small tin. 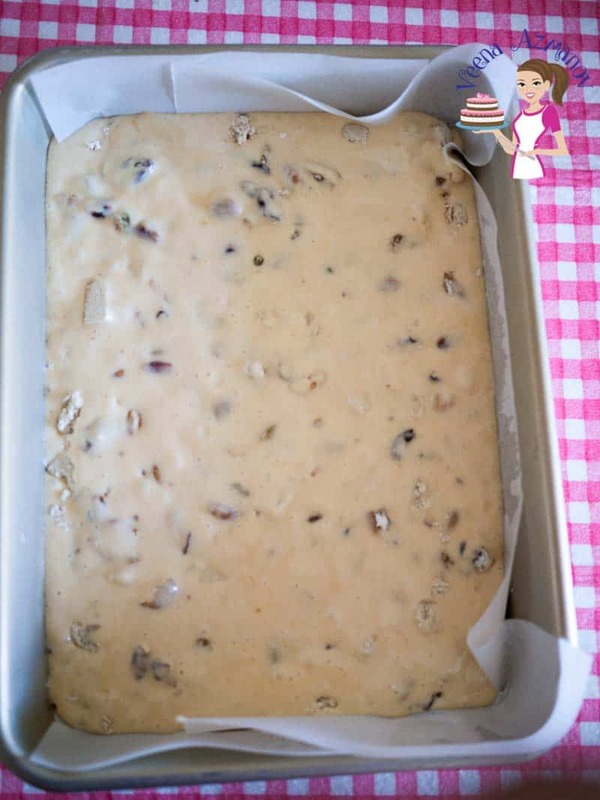 That picture you have of the nuts and fruits on the plate – in prep for adding to the cake … that’s got me craving the sweet and chewiness that I”m sure this fruitcake has! Thank you, Noel. Yes, this makes perfect gifts and the fruit and nuts with the halva does make a sweet cake. Thank you, Nicolas. You can find Halva at any middle eastern store. Ask for a taste test and see if you like it. Also if you like tahini you probably will like halva. You must try it. I have never heard of this type of fruitcake. Sound like it would be a great addition to the holiday table. I like the twist on the traditional (which lots of people do not like). Thank you, Gloria. Fruitcakes are great and made often during the holidays. Here I have given it a middle eastern twist. Thank you, Claudia. You will love this cake if you love fruits and nuts in your cake. Try it. I love it .. Its Lovely !! Love the recipe.. You doing a great job ! !